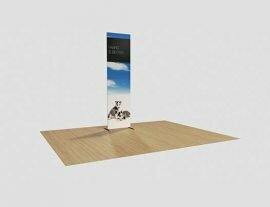 If You have already purchased one of Tenji’s Flexad Large Portable Counters and you need a new print, then the Large Portable Counter Re-Print is what you need. 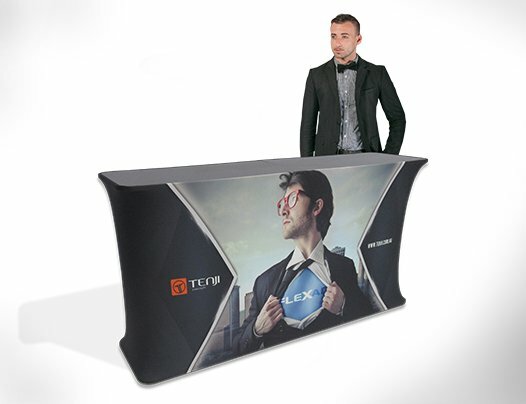 Our flexad Large Portable Counter Re-Print is printed and manufactured using incredible Stretch Fabric Technology. This means that you get a perfectly smooth, appealing finish on your print. The stretch fabric print also comes printed full colour, so you get maximum design space, and beautifully vibrant prints.